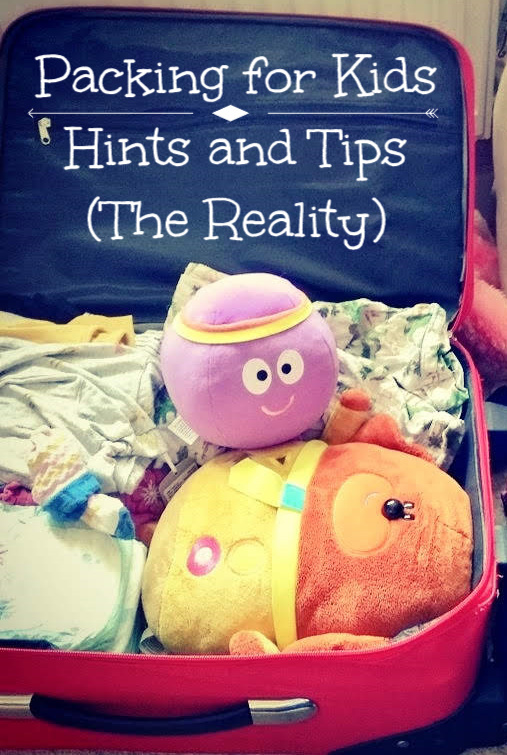 If you haven’t read my Guide to Packing for Kids, go there first. I promised an update on how my packing for one day away went. So how did it go? My first point in my guide to packing for kids was ‘Make a Plan’. I made a plan. We were leaving early Thursday morning so my plan was to pack on Wednesday morning while Ted was at pre-school. Obviously it didn’t work. A colleague called in sick and I had to work up until I picked Ted up. I managed to hide upstairs and get the bulk of the packing done without any additional items sneaking in from Ted. For once I was feeling pretty organised. I took the night off and had a glass of wine while I made a mental list of everything we would need to pack in the morning. When David came in from work he reeled off a list of things, all of which I had forgotten. I no longer felt organised. In the morning things mostly went smoothly. I spent most of it running around throwing things I was suddenly sure we would need into bags. The children had a nappy change and were delivered into the car in their pyjamas. David and I didn’t get too annoyed with one another. All in all, things didn’t go to plan but things never do. I wasn’t too stressed, we only left 15 minutes late and we didn’t forget anything. Packing win. We were travelling the car so we had the option to take everything we might possibly need. On the other hand we were sure the hotel would be well equipped for children. In the end we packed five bags and the pushchair. While five bags may seem excessive for one night I think it’s a personal best for us. We had the main suitcase with out overnight stuff, changes of clothes, nappies and laptop. The food bag with snacks, pack lunch, breakfast, milk and most importantly enough wine to keep us going through the evening. My bag with my notebooks, phone, kindle and assorted crap. We planned to go to the waterpark when we arrived (didn’t work out like that) so I had a swimming bag packed with towels, swim gear and swim nappies. Finally the nappy bag which contained more swim gear and the usual child baggage (why do I carry so much lego with me everywhere?). On another trip we wouldn’t have needed the swimming bag but then I would probably have taken more toys. It’s swings and roundabouts really. I think we did pretty well. We were away one night so did I take more clothes than necessary. Although this was mostly because the weather was ambiguous (see point 4). I put in pyjamas that they didn’t need and they each had an unworn outfit. On the other hand, I didn’t forget any clothes. We all had enough changes of underwear and our swimming stuff. My weather App predicted it would be warmer than the previous few days but not hot (about 18 degrees). How do you pack for that? So we probably won’t want layers but a hoody for the evening would seem wise? Short or long sleeves for the daytime? What if there’s a cool breeze? Am I overthinking this? 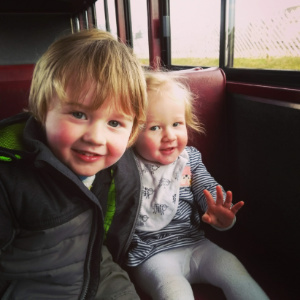 Toys – Are they necessary? We went with a fairly limited selection of toys for once. The hotel boasted an interactive toy wall which kept them occupied for a combined 30 seconds. We didn’t need toys though, there was plenty to do. For the half hour or so we spent in our room between checking in and dinner we put Cbeebies on. It seemed rude not to! We did take a magazine which we needed in the restaurant. We also took two bedtime stories. So did I stick to my guide to packing for kids? Well, nothing went to plan but it all worked out so I suppose the answer has to be yes. What are you biggest packing wins? And your biggest packing fails?